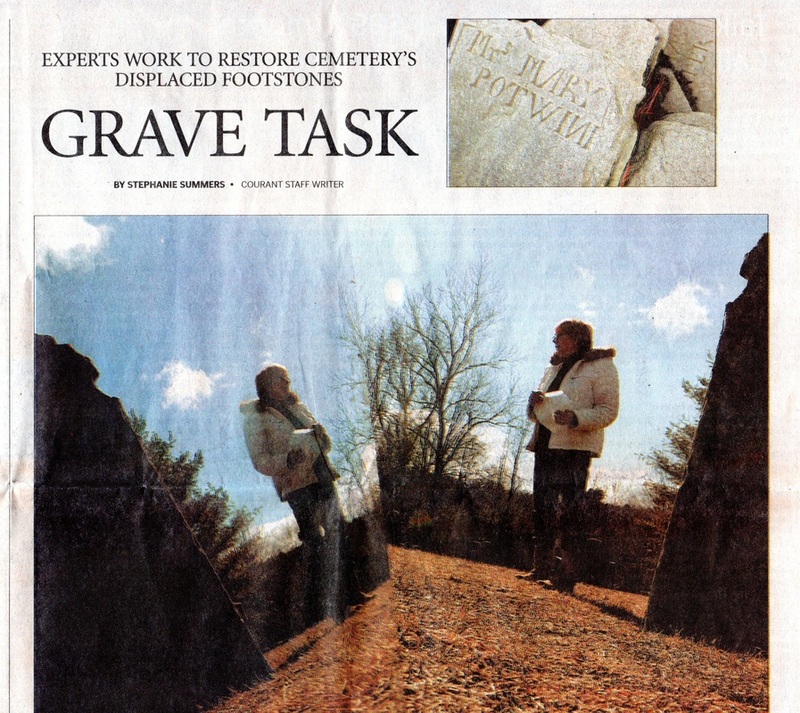 1 Stop Genealogy is Featured in the Hartford Courant! Ferry, Brian. "No. 138: No longer just a number on a stone. 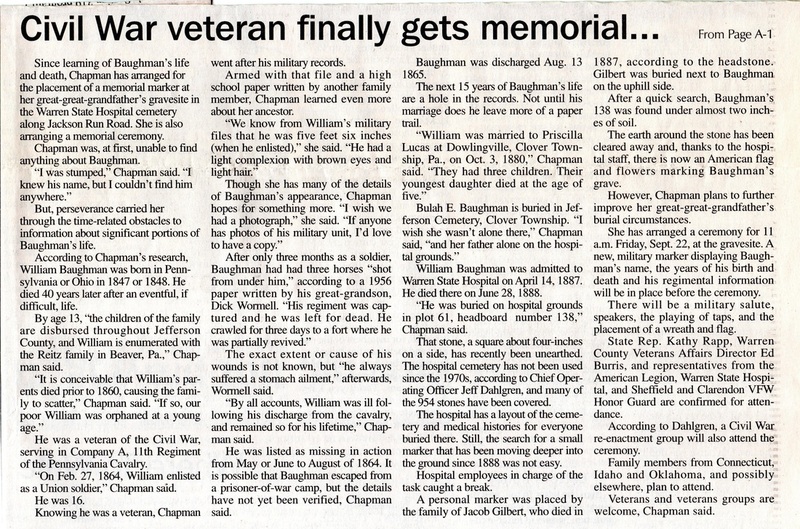 Civil War veteran will finally get his memorial headstone." (Warren County, Pennsylvania) Times Observer, 5 September 2006, pp. A-1, cols. 2-4 and A-3, cols. 2-5. Ferry, Brian. 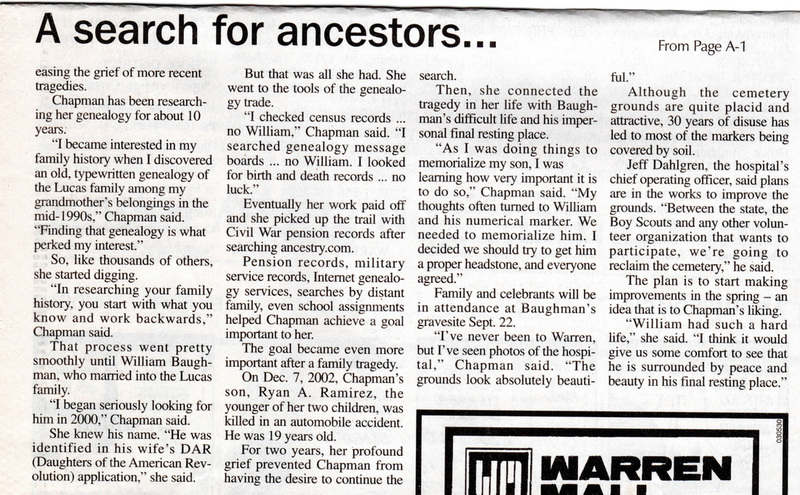 "Searching a link with ancestors." (Warren County, Pennsylvania) Times Observer, 5 September 2006, pp. A-1, col. 4 and A-3, cols. 1-4. Ferry, Brian. "Veteran gets his stone." 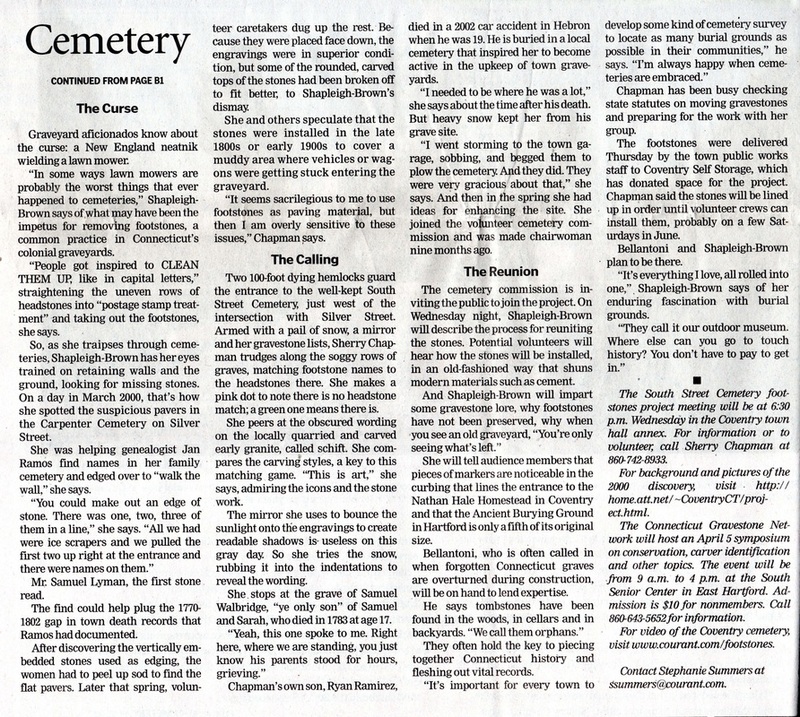 (Warren County, Pennsylvania) Times Observer, 23/24 September 2006, pp. A-1, col. 5 and A-8, cols. 1-4.